Fans of Mexican food in Northern Kentucky have a new option in Erlanger. Amigos opened about a month ago off Donaldson Road across from the Waffle House, between Speedway and the interstate. Six siblings from Chicago opened the new establishment. Susanna Delgado, the youngest of the crew - and the only one born in the U.S., runs Amigos with her brother, Beto. Their goal is to preserve their heritage and to immerse customers in Mexican flavor and ambiance. The family also owns El Toro in Walton. "We love the people who come (to Walton) and they love us. We have built friendships there. 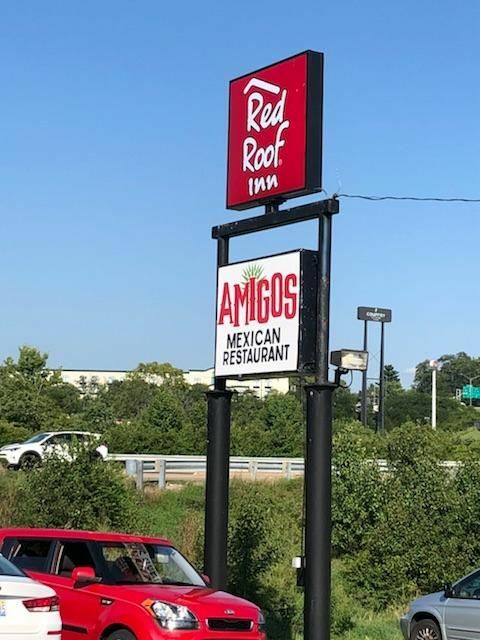 But we wanted to expand, and after looking all over Northern Kentucky, Erlanger seemed like the place that was more central to the area, and could use a Mexican restaurant the most," Delgado said. The Delgado family hails from Arandas, Jalisco, two hours east of Guadalajara. They located in Chicago first, and then decided to come to Kentucky, where there is less competition for Mexican food. Beto Delgado, his sister said, is an entrepreneur at heart and was the voice calling out for a family business. He learned the restaurant business first as a dishwasher, and then worked his way up. At Amigos, customers will find Mexican staples like burritos, quesadillas, and chimichangas - and street tacos. "We have had people ask us about soups," Delgado said. "We have Pozole, and De Menudo, which is like a pig soup, and it is rumored to be good for hangovers. We also have Seven Seas seas soup, Siete Mares, that has oysters, crablegs, tilapia, and shrimp. People were surprised that we have all these soups." They have tortes, Mexican sandwiches, in steak, chorizo, and lingua, which is tongue, but apparently is popular. They have Tex-Mex, a vegetarian selection, and corn tortillas that are freshly made. Amigos also features a selection of imported beers, domestic beers, and other drinks. To set the scene, a local artist was hired to paint murals on the walls - one of which reflects a church in Mexico that the Delgados' parents attended. "When you are in Mexico, all the houses are full of color," Delgado explained. "We wanted the restaurant to be full of color, too, and all of our murals help spread the warmth of color and make people feel comfortable and at home." Amigos is open seven days a week, and has a happy hour from 3 to 7 p.m. You can follow them on Facebook here.